Inspired by the beauty of the Bonsai Tree, this Black Bonsai Samurai Katana is packed with beauty and style. The carbon steel blade is hand-forged and offers a super sharp edge and a heavy blood groove. The handle features imitation ray skin and is wrapped with heavy nylon cord. 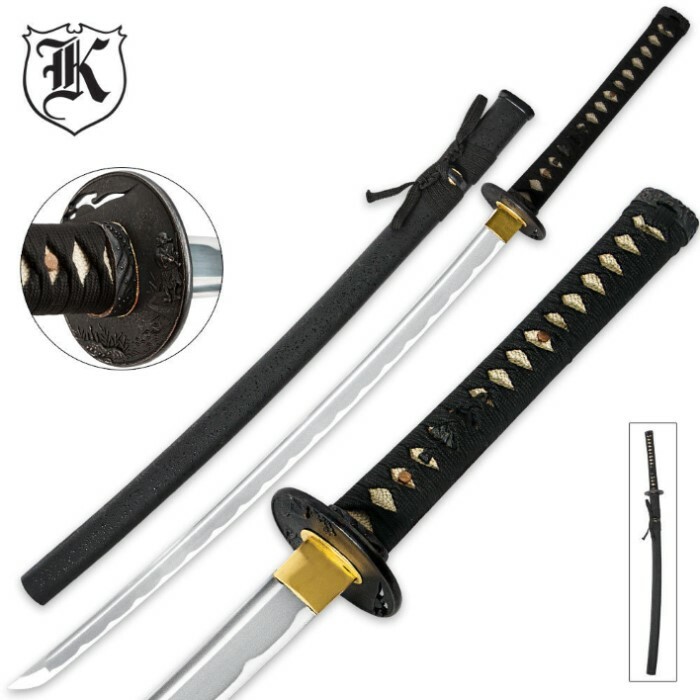 The beauty of this sword is accented by the custom zinc alloy tsuba, menuki and pommel. A black scabbard is included. This sword is better than I expected I was playing around with it in the attic silcing boxes in half and hit the side of my tool bag slicing the side open and its a two layer bag very nice for the price.